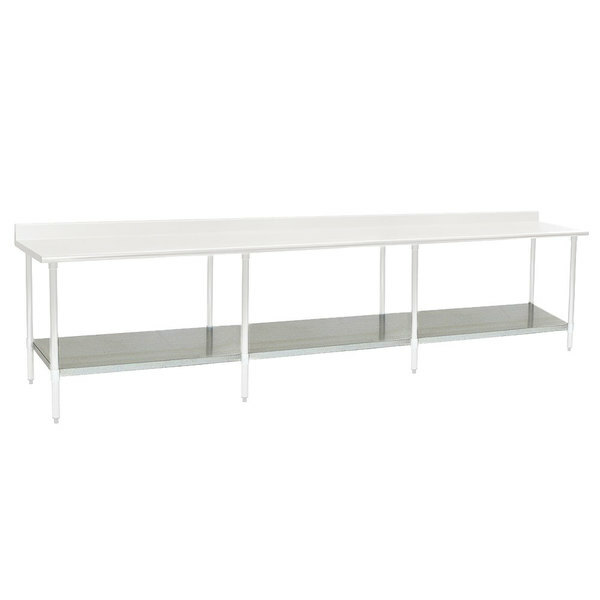 Replace an existing undershelf or add a new one to your Eagle Group 24" x 144" work table with a uni-lok hat channel frame with this 24144SADJUS-18/3 adjustable undershelf! Made of durable 18/3 stainless steel, this undershelf is a great way to boost the storage space under your table so that you have even more room to store shorter, smaller items like scales, ingredient bins, small food prep equipment, and more. It is adjustable for maximum convenience and versatility.